Full service florist. Satisfaction guaranteed. We specialize in custom arrangements to satisfy everyone's taste & budget. If you can imagine it, we can arrange it. Serving all hospitals & funeral homes. Cindy Esser's Floral Shop has been proudly serving the entire Pittsburgh Metropolitan area for 27 years. We offer only the finest floral arrangements & gifts. Friendly & Prompt. Serving Pittsburgh and surrounding areas including Bethel Park since 1941. We are committed to providing you with only the finest floral arrangements, and gifts backed by friendly, prompt and professional service. Full Service Florist. Satisfaction Guaranteed. We deliver our own flowers. Family owned and operated for over 20 years. Specializing in unique custom arrangements. Flowers for any occasion and budgets. Serving all hospitals and funeral homes. Wedding specialist on premise. Full Service Florist. 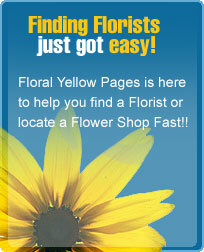 Family owned and operated with over 100 years of floral experience. Specializing in unique and custom arrangements. Flowers for all occasions and a full line of gift baskets. Serving all hospitals and funeral homes.